This unit connects to the PCMCIA slot of the A1200 and contains an IDE controller in a box, with an IDE hard drive (usually 250MB). The max transfer rate is 2MB/sec. The unit is also powered by an external power supply, so no additional load is placed on the A1200. 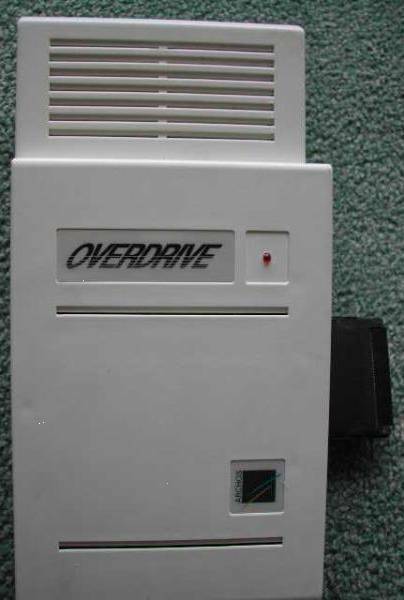 The overdrive is also compatible with the A600. 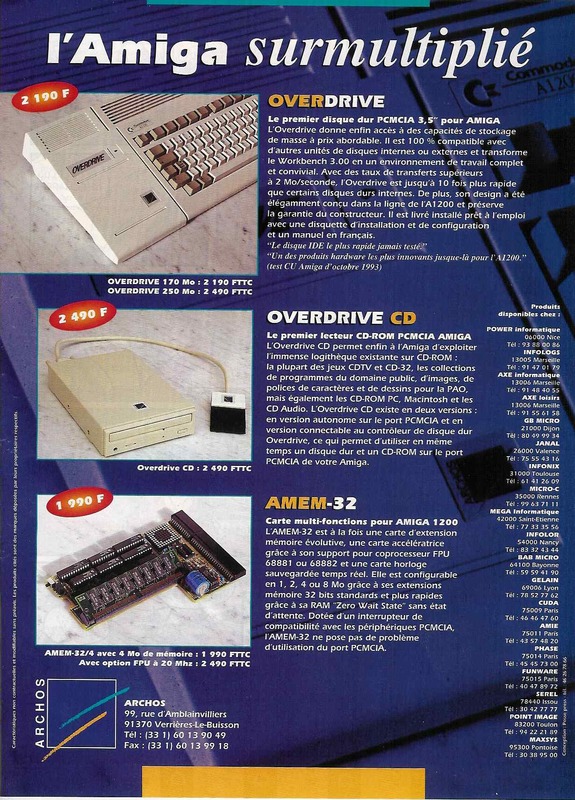 This unit appears to be exactly the same as the Commodore Overdrive and may have been made under license from Commodore, or vice versa. Please see the Commodore Overdrive.